Drugged driving rivals drunken driving on U.S. roadways lately because so many more prescriptions are being issued and because of the legalization or decriminalization of marijuana in many states. Almost 40 percent of drivers in fatal accidents had drugs in their system in 2013, about the same percentage as those with alcohol impairment, according to a federal analysis. 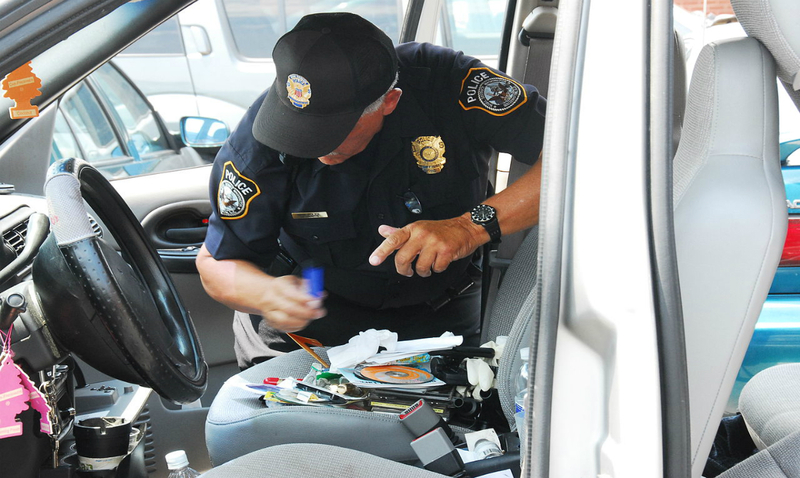 In addition, roadside surveys have found 22 percent of drivers on weekend nights and days tested positive for drugs. Driving can be dangerous under any conditions, but with all these impaired drivers it is especially perilous. If you see someone driving erratically, steer clear. And if an impaired driver crashes into your vehicles and injures you or your children, be sure to contact an attorney who can win you the utmost in compensation. 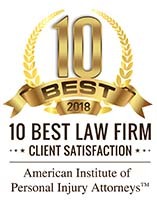 The legal experts of Krasney Law firm in Los Angeles have years of experience at winning compensation for our accident-victim clients. When a driver is found guilty of a criminal or traffic violation such as driving under the influence, that verdict can be used against him in a civil matter. He is likely to be ruled negligent and liable to pay damages in an auto accident civil case if he had been found in guilty previously. An injured person, especially one with catastrophic injuries, can get monetary compensation from the person responsible for an accident to pay for medical bills, property damage, lost wages, pain and suffering and sometimes punitive damages. Drivers can be impaired by hundreds of different drugs. Some of these drugs are legal to use under certain conditions, while others are illegal. Some are even available over the counter (they don’t require a prescription and are not controlled substances). It is harder for police officers to detect drug impairment on the scene than it is to detect alcohol impairment. Getting a conviction for driving while under the influence of drugs (DUID) is harder than for alcohol-impaired driving. Laws vary from state to state regarding DUID, though California has an anti-DUID law passed in 2014 (more on that below). “(c) It is unlawful for a person who is addicted to the use of any drug to drive a vehicle. This subdivision shall not apply to a person who is participating in a narcotic treatment program approved pursuant to Article 3 (commencing with Section 11875) of Chapter 1 of Part 3 of Division 10.5 of the Health and Safety Code. “(e) It is unlawful for a person who is under the influence of any drug to drive a vehicle. When it comes to a lawsuit, this means the presumption of guilt is on the driver impaired by drugs. In addition, if a person’s blood-alcohol content is at or above 0.08 percent or 0.04 percent for commercial vehicles, he is not allowed to drive in California. 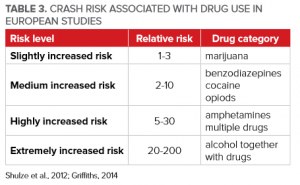 “In 2013 nationwide, 62.6% of the fatally-injured drivers were tested for drugs. Of those tested, no drugs were detected in 57.3%, a drug in the FARS list was found in 30.3%, some other drug in 7.7%, and test results were unknown for 4.6%. Over one-third – 34.7% – of the identified drugs were marijuana in some form, followed by amphetamine at 9.7%. The report states that prescriptions of drugs have quadrupled since 1999, and several states have legalized marijuana possession or decriminalized marijuana possession of small amounts of marijuana, both of which factors contribute to higher numbers of drugged drivers. Marijuana legalization activists like to claim that there is little evidence that ingesting or smoking marijuana impairs driving—but that does not matter under California law and the laws of every other state in the union. It is illegal to smoke and drive. Given that more than one-third of impaired drivers in fatal crashes were taking marijuana, this is a major problem for states, and state governments and legislatures are being asked to address it. 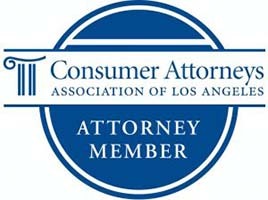 Previous Post: Does California’s Good Samaritan Law Really Protect You?